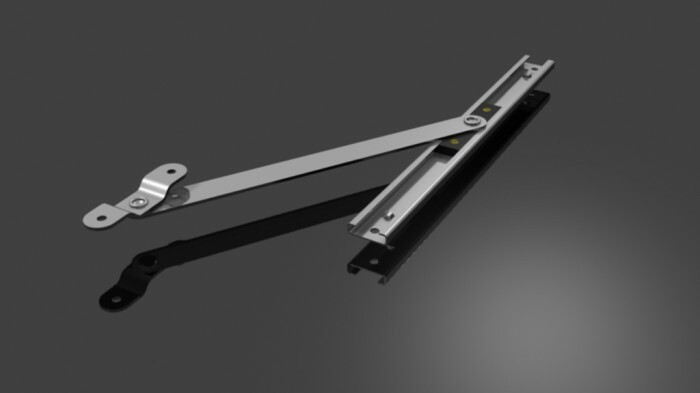 For large top hung vents the friction arm can be used as an extra support by fitting it below the existing friction stay. It has the effect of limiting the opening as well as adding greater stability to the window. 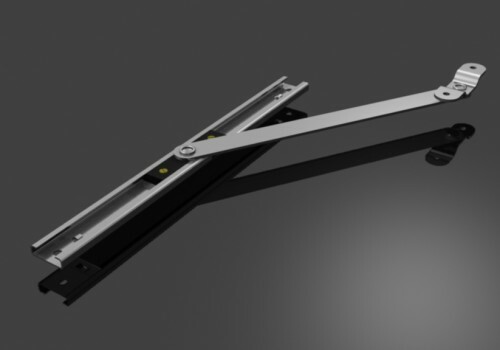 The FA102 / HD102 latch mechanism is released using a suitable spanner allowing the vent to rotate to its full opening potential, facillitating the cleaning of the exterior glass from inside the property, before being re-engaged to retain the restricted opening. 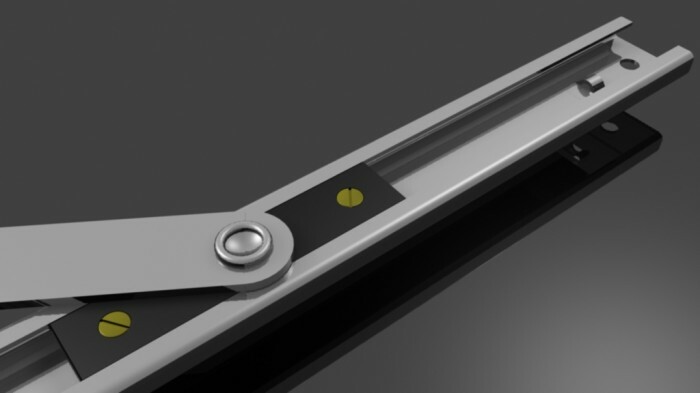 To release the FA102 / HD102 latch, use a suitable spanner, rotate the latch upwards by 90 degrees and lift the restrictor arm over the retaining rivet. 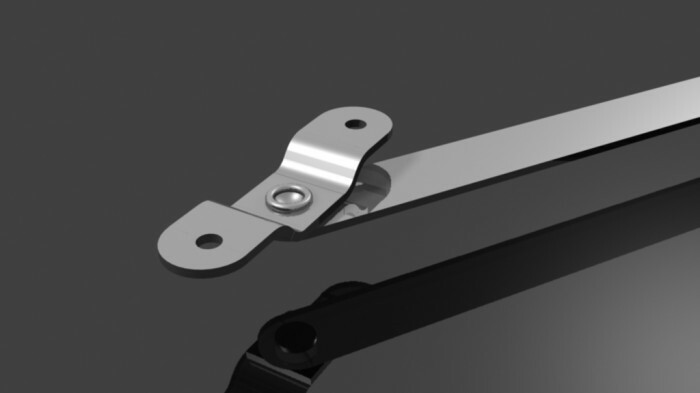 To re-engage the FA102 / HD102 latch, replace the restrictor arm over the retaining rivet, rotate the latch back 90 degrees and ensure the latch securely engages the retaining rivet. Question: I require a retro-fit restriction device. It needs to be child-proof and be able to be de-restricted with relative ease. What do you recommend? 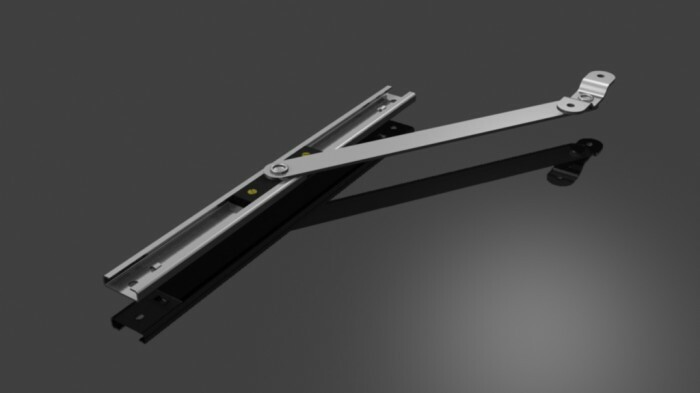 Answer: The Latch Type Friction Arm will meet this requirement. With the use of a suitably sized spanner, the latch can be opened allowing the window to operate normally. Available in both standard (FA) and heavy duty (HD), 13mm and 16mm stack height respectively.